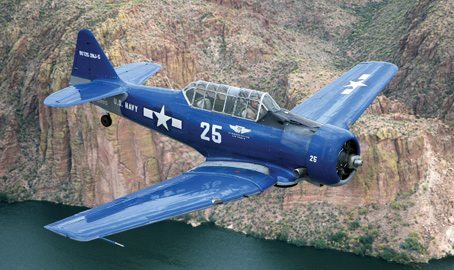 The Arizona Commemorative Air Force Museum (AZCAF) recently acquired a Grumman TBM-3E Avenger from the Quonset Air Museum, Rhode Island. The Avenger is best known as the premier Navy carrier-based torpedo attack bomber of World War II. AZCAF volunteers flew to Rhode Island to disassemble the Avenger and load it onto a trailer for transport to Mesa, Arizona. This is the first arrival of a new AZCAF-assigned warbird in over three years and brings the total number of combat-related aircraft at the museum to over 30. Volunteers are ready to employ on a mission of restoring the aircraft to join its fleet that includes seven flying warbirds that provide living history rides to the public. The Avenger is on display at the museum and the public can see the progress of the restoration efforts first-hand. Among the better-known Avenger pilots was George H. W. Bush, who was elected President of the U.S. in 1988. During Bush’s campaign and presidency, several restored avengers were painted in the markings of Bush’s aircraft, and the type enjoyed even greater popularity with airshow audiences. Private: Welcoming Home our Bombers! Strap into the gunner position for the ride of a lifetime across the beautiful Arizona desert.